Although I’m a fiction writer, and my guests are primarily fiction writers as well, I do number among my friends many amazing and wonderful nonfiction writers. These writers have spotted a need that’s not being met in the current market, and are doing their best to fill that need! And then there are the rare unicorns like Kass Fogle, who writes both fiction and nonfiction! You may know Kass better as The Introverted Believer (and if you’re not following her on social media, you’re missing on some hilariously true introvert memes)! The heart of Kass’s mission is to help introverts recognize and celebrate how God created and gifted them, and to use that gifting to further the Kingdom in their own unique and very necessary way. Read on to learn more about Kass, her writing, her love for baking, and the conference—yes! conference!—she’s planning just for introverts! There’s also a giveaway!! Thanks for being here today, Kass! Thank you so much, Amanda, for having me as a guest and helping me spread the word about The Introverted Believer! What inspired your passion for helping introverted believers find their place in a church culture that seems geared toward extroverts? Personal experience. Confusion. Guilt. There’s a big difference between an invitation (“We’d love to see you…”) and shaming (“If you’re not in a small group, do you really love Jesus?”). I wanted to learn more about the difference between the Church (believers worldwide) and the church (local congregations). and their unique significance as a Christ-follower. Above all, I wanted to make sure I was obedient to God’s word, so I set out on the journey of the Introverted Believer. How did you discover your own introverted nature? How has knowing that about yourself strengthened your faith? As a high school student in the late eighties and early nineties, I participated in a Leadership Group and the instructor gave us an MBTI crash course and submitted the Type Indicator©. When my results came back as an Introvert, I fumed. Introverts were weak, and I was a dominant force (read: not well liked). Introverts were mopey and self-loathing and I was dynamic and confident. I was so angry that I lied to the class about my results. Of course, the teacher had my results as well. They tried to tell me I had it all wrong about what it meant to be an introvert and encouraged me to embrace it. I would hear nothing of it and continued to suffer through many years understanding my identity. As a believing adult, I’ve come to learn my identity is in Christ, whether I’m introverted or extroverted. I’m still studying line by line and word for word what it means to be one in the body of Christ. 1 Corinthians 12:12-24 has been instrumental in shaping my writing and understanding of how and where I fit in this world. More importantly, it’s helping me understand how and where I fit into eternity as I navigate the world through Jesus. Needless to say, though I still maintain an off-the-charts dominant personality (yes, I’ve been tested), God has also made me unashamedly introverted. What is the most important thing you’d like to teach people in your ministry? I want to dispel the myths that many people hold of introverts – those similar to the perception I had as a teenager. I want people to know that the quirks, traits, mannerisms and preferences of introverts do not mean they are shivering in the corner waiting for extroverts to take over. We have very special and unique gifts and I want to help introverts love what lives Beneath the Surface of what the rest of society sees. What is the best book you’ve read recently, and why? I have two. Jane Eyre – I think she is the poster child for a strong and introverted person. My non-fiction pick is Introverts in the Church by Adam S. McHugh. It’s literary without being textbook. It’s humorous without making light of introversion. As a Human Resources professional, I’m often assigned tasks that promote engagement, fun or other activities I typically see non-work related. In this book, I am challenged to think beyond my perspective and look instead at what God wants for a project, team, or individual. Seconding that Adam S. McHugh book; I’ve read it, and it’s phenomenal. If you’re an introvert, do yourself a favor and grab a copy! What does your writing routine look like, if you have one? What obstacles present themselves in making time to write? My scheduler is everything. If I haven’t planned it, it doesn’t happen. Saturday morning is when I write blogs, devotionals, and work on my two books. Ruth’s Garden is contemporary fiction and is running through my Word Weavers critique group now. I am also working on a Romance where the hero and heroine meet on a televised cooking competition. My work in progress, Beneath the Surface: A Devotional Journal for Introverted Believers, is what has me celebrating and crying. I am querying agents for this work right now. Send chocolate. I have to find, create and schedule memes for my social media, so I’ll take a day and schedule out two weeks of memes, I have days set aside for research, for reviewing others’ work so I can share it on social media, and I have time set aside for learning each week. I spend vast amounts of time sitting in one place staring at the screen because I’m mind mapping. I create the story structure in my mind, build my characters, and set the scene, and then I’ll type it all out like a madwoman. The trouble with that is if I am interrupted, I lose hours of productivity. I haven’t found the best way to store what I’ve mapped very well (I’m old). I know the querying road well. Virtual chocolate is heading your way! I love to bake, but my husband doesn’t have a sweet tooth. If I bake a batch of cookies, he’ll have one and feel satiated for a month. That leaves me with the rest and I tend to sprint through anything sweet. I also love to hike, though I have the knees of someone who’s ran dozens of marathons (I assure you, I have not) so I don’t do much of that anymore. When I’m not writing, I am also planning a conference for Introverted Believers. It is tentatively set for April of 2020 in either Northern Indiana or Southern Illinois. I know, a conference for Introverts? YES! Introversion doesn’t mean shy, but they can be. Introversion doesn’t mean “hate people” but we can be perceived that way. There is so much to learn about what introversion is or isn’t and how we can use our powers for His Good, that I think we need a conference for it. The chairs will be spaced out, I hope to have a quiet room for people to find space to recharge, and I have a scavenger hunt that includes lots of brain teasers so people can work individually or together. Sessions will be encouraging and challenging. And there will be a taco bar, so there’s that. If you could have coffee/tea/gratuitous amounts of carbs with any author, living or dead, who would you choose? What would you want to talk about with him or her? I’d love to sit down with Beverly Cleary and Judy Blume. Margaret and Ramona were in the hearts of millions of young girls back in the day, including me. Especially me. They walked us through how to handle every possible embarrassing moment a young female could have. When I think of having coffee and muffins with Ms. Cleary and Ms. Blume, I see a lot of laughter. Oh, man! You just named my two favorite authors from childhood! I’m totally crashing that coffee and muffins extravaganza (which, wow, that sounded very extroverted of me, didn’t it?)! Last question, Kass: how can we pray for you? This is such a sweet question and I am honored you have asked. Please pray that my writing is God-honoring and that it triggers people to open their Bible. Whether it is to fact-check me, understand the context or study, I pray that what I write gets people in their Bible and I’d love for you to join me. Secondly, will you pray for the conference? I am so passionate about executing this, but there are so many things financially and strategically I need to make this happen. I pray for provision of wisdom, friendship, organization, and finances so that I use each resource to bring glory to Him. Definitely praying for you and your ministry, Kass! Thanks again for being here. And now for that giveaway!! Kass is offering a $5 Starbucks gift card and a small surprise gift to one lucky winner! Leave a comment on this post to be entered, and we will randomly select our winner one week from today, April 25th. Kass Fogle is a fierce Introverted Believer (ISTJ) with a side dish of social anxiety who loves Jesus, coffee, and chocolate. She blogs weekly, encouraging fellow introverts in their work, marriage and friendships. Be sure and subscribe to her website at kassfogle.com for freebies, lists, printable journal pages and more. She is working on her devotional journal, Beneath the Surface: A Devotional Journal for Introverted Believers and is busy organizing IBCON, a conference for Introverted Believers. When she is not working the day job you can find her at the local coffee house writing, at home baking, hanging out with family or causing trouble with her tight-knit group of girlfriends. She is also active on social media, uniting introverts from the comfort of her stretchy pants. If you’ve been following this space for a while, it’s no secret that Heidi Chiavaroli is one of my very favorite authors EVER, and I’m always super-excited when she launches a new book. Her latest release, The Edge of Mercy, comes out April 9, but if you don’t want to wait that long, good news! She’s giving away a copy to one lucky commenter to this post! Details at the end, as well as a unique personal connection I have to this book! Enough chitchat. Here’s the blurb. I’ve had the privilege of reading this book, y’all, and it is AMAZING. So now let’s give a warm House of Wen welcome back to Heidi Chiavaroli! Thanks so much for having me back, Amanda! We last welcomed you to the blog a year ago, when you were launching The Hidden Side. What’s new in your world since then? This last year has been a whirlwind. We enjoyed some family time last summer. My favorite memory was climbing Mount Washington together, which was super thrilling (and also super exhausting!). In the writing sphere, I wrote another book (to be released in 2020), did some major edits on an old manuscript (releasing this month), and put out a free short story for my newsletter subscribers. You’re getting ready to launch your third published novel, Edge of Mercy. How is this new book similar to your previous releases? What major differences can you tell us about? Like my other novels, The Edge of Mercy is a time-slip novel. There is a historical story within the contemporary story. I don’t think I’ll ever tire of telling these! Like my other stories, it explores some difficult, and yet true-to-life realities. Like my other stories, I believe it will also leave my readers feeling hope. The biggest difference is that the historical portion of The Edge of Mercy is not set during the American Revolution, but is set during another, less familiar colonial-era war (King Philip’s War). What inspired you to write Edge of Mercy? It’s about a marriage on the brink of failure. A request given beyond the grave. And a centuries-old family story with the power to change everything. Which character in Edge of Mercy was easiest for you to connect with? Which character was the most challenging? Elizabeth, my historical heroine, was the easiest for me to connect with, and I’m still not sure how that can be! I give credit to all the walks in the woods I took as I wrote this story, imagining her in that very place centuries earlier, imagining her struggles, imagining her ending. What did God teach you during the writing of this book? What spiritual lesson do you hope your readers take away from it? God taught me a lot about waiting for His timing. I received an agent contract on this book five years ago (then called Abram’s Rock) and I was certain that this was the one! But although some publishers showed interest, they all ended up turning it down. It wasn’t until I had two books published (and wasn’t even considering putting this book out!) that the opportunity to resurrect this story came. I’m so glad that it did! I hope readers come away from this story with hope that nothing is beyond God’s reach. I hope they see a glimpse of how the Lord pursues us, even when we are unlovable, even when we don’t deserve His love. I hope they see His grace. What’s the most important lesson you’ve learned since your debut was released? What is one piece of advice you’d give your Younger Writer Self? Thank you so much! I would LOVE your prayers on a deadline that I have for July 1st. If you would pray that the Lord would place on my heart what He wants my readers to read I’d be tremendously grateful! We’ll definitely be praying for that! Remember that personal connection I mentioned at the top? Well, it turns out that King Philip’s War was actually started by two of my ancestors, John and William Salisbury, who were also two of its first victims. One of them, John, appears briefly in Heidi’s book! I had no idea when I read it that this character was related to me; it was only after I finished that my genealogist mom pointed it out! Heidi and I both thought that was super cool. And now for that giveaway! Heidi is offering one copy of The Edge of Mercy in the winner’s choice of format (paperback or ebook). To enter, simply leave a comment on this post! We’ll chat about anything you want: favorite time-slip novels, favorite obscure historical factoids, how awesome the New England area is…the sky’s the limit. But we DEFINITELY want to know if you’ve ever found a relative as a character in a work of fiction! Heidi Chiavaroli is a writer, runner, and grace-clinger who could spend hours exploring places that whisper of historical secrets. She is an ACFW Carol Award winner and a Christy finalist. Both her debut novel, "Freedom's Ring" and her sophomore novel, "The Hidden Side" are Romantic Times Top Picks. "Freedom's Ring" was also a BOOKLIST Top Ten Romance Debut. She makes her home in Massachusetts with her husband and two sons. Visit her at heidichiavaroli.com. When I started college, nothing scared me more than rooming with someone I didn’t know. But I needn’t have feared; I got along great! Same thing happened in graduate school; my roommate there ended up being one of my favorite roommates ever! So when I went to ACFW last fall and arranged to share a room with someone I’d never met, I figured we’d get along great, and we did! My blog guest today is that very roommate, Hayley Elliott! Welcome to the blog, Hayley! We’re so happy to have you! Thank you! It’s great to be here! First question: what inspired you to start writing? Not sure I was ever necessarily inspired so much as it was ingrained in me since childhood. I started out writing deep, heartfelt poetry about the meanings of life like—will this boy ever notice me? Or beautiful sonnets about rainbows, butterflies, and even Tigger. (Yes, from Winnie the Pooh. Why? I have no idea.) Or why does my heart yearn for more? Who uses the word “yearn” at the age of ten? This girl. I always got excited about writing projects through my school years and kept a personal journal as well. Those are fun reads, let me tell ya! Full of questions, angst, and more yearnings. As for writing as a career? Well, that began when we tried conceiving our first child and it took over a year and a half. I found myself wanting more—needing something more—to occupy my mind. I had the desire to write…fiction no less…first time for everything. Through late-night talks, my husband and I developed the storyline for my first book. It’s been a long journey since I began that first manuscript and to be honest, I’m still tweaking it today. It’s like a first love. They’re hard to let go. Writing routine? Bahahaha. *Laughs manically while chugging coffee, sporting a messy ponytail and sweats* Girl, I’ve got a high-maintenance toddler, and a bun in the oven that’s about to burst any day. The only luxury of a routine I have centers around my family, because while I enjoy writing, I enjoy my family more. That said, my writing hours happen during my child’s nap time, which is a rare occasion these days, and in the evenings after my little one goes to bed, giving me a window of about 3 more hours if I’m super productive. During said hours, I’m also balancing photo shoots and photo editing for my freelance photography business. I also have the opportunity to write when my toddler is at Mother’s Day Out twice a week. However, I mentioned I was pregnant, right? My current dilemma centers around whether I have enough energy to write or if I’d rather sleep. I’m afraid once my newborn comes along, sleep may win out more often than not. Obstacle = toddler. Challenge = acquiring enough sleep. Obstacle/Challenge: 1, Me: 0. So does that answer your question about obstacles and challenges? LOL, absolutely! And trust me, I’ve been there. Believe me when I say that as the kids get older, you do get more freedom and flexibility. Not necessarily more quiet, but more freedom and flexibility for sure. On to the next question! How has God shaped you during your writing journey? Writing about characters and stories people connect to is more than learning fancy, frilly language, or following all the writing rules. It’s about understanding people. Understanding their emotions, what motivates them, their experiences, their triumphs and sorrows, how the world affects them, and how God plays a part in each of our lives. I’ve learned enough about craft to blow my mind and still have plenty to learn, but what I’ve found to be the most difficult and intriguing part of writing is creating a character that feels real— especially those that experience things I never have. You have to research so much. But also pray a lot for guidance. Most of my best scenes are those I’ve fallen asleep praying about, only to wake up and spill thoughts on a page—ones I don’t really consider my own. So while I enjoy writing, I wouldn’t be able to do it without God’s help. Writing has always drawn me closer to God, whether writing a personal journal or a fiction novel, and therefore has strengthened my faith and relationship with Him. Maybe it’s odd, but I feel closer to Him when I’m writing, even if the writing is terrible, I’m still gaining something in the process. So while some of the stories I write may never been seen by the majority—I do it for me. I do it for Him. What is the funniest thing that’s happened to you on your writing journey? Part of being a writer is also learning craft and developing friendships with other fellow writers by attending workshops and conferences. I attended my first two writing conferences last year. At my second conference in Nashville, the American Christian Fiction Writers Conference, I was newly pregnant. And if you’ve ever been pregnant, you’re familiar with the term “pregnancy brain.” Right? Well, I had it full-fledged even at ten weeks pregnant. Somehow, I managed to leave my cell phone in the bathroom stall and hiked up like a thousand stairs and across half the hotel before I realized I had left it. In a hot mess, I ran (okay, I fast-paced-walked) to the bathroom. It was gone. I panicked, to say the least. I was out of town. I had all my flight, travel and Uber information on my phone. And did I mention my phone was on silent and the screen was locked? But then my genius roommate <cough, cough, Amanda Wen> asked if I tried calling my phone. DUH! Bless it all for happening at a Christian conference, someone turned my phone in and the hotel staff was holding it for me. What’s the best book you’ve read recently, and why? Man, oh me oh my. This is a rather cruel question. I’ve read numerous books in the last couple of years, but I’ll focus on the word “recent.” My New Year’s goal was to read my Bible more and focus on books that invest in my personal growth. I could pleasure read for hours and hours, fiction books, of course. But non-fiction? They usually take me three times as long to read. However, this year I read a lovely book called Everybody Always by Bob Goff. He has a wonderful outlook on life, one that I took several notes on how to implement. He reminds us of the one thing Jesus repeatedly told us to do: love everyone. It’s not always easy either. It’s something we tell my daughter often, she may not like someone or the choices they make or how they treat her, but it’s important to love them anyway—even the “bad” people, because everyone needs Jesus and everyone needs to be loved. I don’t think we could be reminded of this sentiment enough. I shall partake in all of the above—especially if the carbs contain chocolate. I’d love to say someone smart or deep like Robert Frost, Charles Dickens or Jane Austen—but that’s not me. Don’t get me wrong, I can totally get behind Pride and Prejudice wholeheartedly, but if I’m going to sit down with an author, I want them to be relatable and understandable. This deserves a paragraph break because I debated in my mind for days and days. This is such a hard question to answer. I’ve read so many wonderful authors. But one person kept popping up in my mind. Debbie Macomber. I had the pleasure of hearing her speak at the ACFW Conference and adored her. She was funny, genuine, and creative, along with a dynamic speaker. I was surprised not only by her writing journey and her determination to succeed, but also how involved she is with her community. She seemed very down-to-earth but also has a wealth of knowledge and experience to share in both writing and serving others. I would love to have the opportunity to hang out with her…not just once…but man, to have her as a mentor. Whew. That would be something pretty spectacular. When I have free time, there’s nothing I’d rather do than spend time with my husband and daughter. We could be doing just about anything from lounging on the couch watching a movie, to bike-riding to the closest park, to playing board games. It doesn’t matter. They’re my people and I want to spend all my time with them. When I’m feeling particularly extroverted, I hang out with my book club and bunco pals (yes, I said that—and yes they’re all about my age—younger even). I also enjoy hanging out with other writers to talk about books, writing, and techniques. Aside from being a stay-at-home mom, I’m also a freelance photographer so that tends to take some of my free time on the weekends and weekday evenings as well. Last question, Hayley: How can we pray for you? Being on the journey to become a published author is not easy—despite what people may think. (“Just publish it on Amazon, it’s super easy, everyone’s doing it.” They say.) The journey to become published—whether traditional or indie—is rather long and tedious, especially if you’re wanting to learn to do it well. Sometimes your end goal seems even further away, like you’re never going to reach it. I’ve said it many times, getting published is a marathon, not a sprint. Hayley Elliott writes inspirational romantic stories filled with adventure and humor. She is a member of ACFW and RWA, including her local chapters. She enjoys writing faith-building posts about life experiences and discoveries on her personal blog. When she’s not writing, she’s managing her freelance photography business. Hayley lives in Oklahoma with her husband and daughter, who are all eagerly awaiting the arrival of baby girl number two. Hayley loves reading (obviously), spending time with family, being outdoors (as long as it requires only moderate exercise), traveling to new locations, and eating sweets—especially chocolate. You can connect with Hayley via her blog, Twitter, or Instagram. As an unknown killer tries to silence her, a handsome stranger shows up, determined to save her from harm...But who will protect Tamara's heart? Doesn’t that sound delicious? And anyone who wants to read it can grab your free copy—did I say free?—just by signing up for Jerusha’s newsletter! Details at the end of the post, but for now, please help me give a warm, possibly-still-wintry welcome to Jerusha Agen! Thanks for having me! It’s an honor to be here! First question, Jerusha. What inspired you to start writing? I think I actually started to write as soon as I could physically form letters as a child! Some of my earliest memories are of creating stories in “books” made from cardboard and construction paper. I scrawled the narrative of those tales on the pages in crayon, along with my poorly drawn illustrations. So, I think my answer to the question would have to be God inspired me to start writing by wiring me for story! I was also helped along by having a mother who is a passionate reader and was determined to make sure her kids loved reading, too. I grew up being read to many times every day and learned to read myself at an early age. Throughout my childhood, I also listened to a plethora of dramatized and read-aloud stories on tape (yes, I’m old enough for cassette tape). I’m so thankful for my mom’s diligence in giving me early exposure to books and stories in many formats, which birthed in me a lifelong love of reading, writing, and story! Ha, that sounds very familiar to me, as my own childhood is filled with books, be they cassette tape or otherwise. Does that mean we’re old? No, wait, just kidding, that’s not the real next question. Here’s the real next question. What does your writing routine or process look like, if you have one? What obstacles or challenges do you face in making time to write? Two years ago, I realized that I was wasting a lot of time every day and not being productive enough with my writing. So often, my writing was getting pushed to the back burner and not gotten to because I would run out of time for it. If we keep waiting or trying to make time for writing, we’ll rarely or never write! So I implemented a schedule that increased my productivity by helping me to prioritize writing every day, while also enabling me to manage my time so well that I could get the other, non-writing tasks done, too. In my work-week schedule, I have daily writing times blocked out. These times vary depending on which day of the week it is. For example, I spend much more of Mondays on writing, whereas Tuesdays have writing time in the morning and the rest of the day is spent on other tasks. I had thought that having a schedule would be restrictive, but instead it enables me to accomplish my goals and drastically reduces the stress that comes from never accomplishing all that I need to. Similarly, when I first started writing, I thought it was cooler to be a pantster than a plotter, but then I realized an important truth about myself: I hate rewriting. To be honest, I don’t like the outlining/plotting process either. It’s tedious and difficult, and I often feel like I’d much rather, “just write.” The trouble is that if I were to dive straight into writing before plotting, as I used to do, I’d be far more frustrated by having to stop frequently to figure out what needs to happen and (the worst!) I’d have to stop to rewrite, over and over again. For me, it’s definitely worth the time to plot and outline my stories before writing them. I’ve found that writing from an outline is MUCH faster, less frustrating, and enables me to achieve the thematic layers and depth I aim for in my novels. Not every writer is the same and outlines may not be everyone’s cup of tea, but I recommend everyone try both ways before dismissing one as inappropriate for them. You might be surprised by which method is actually best for you! As for obstacles and challenges, I think we all face many of the same ones—including life itself! Life stuff just seems to always get in the way, doesn’t it? That schedule I mentioned? It only works when I actually stick to it. Lately, I admit, I haven’t been doing well at that, and my productivity has really suffered as a result. We can also lose our motivation, which will make us sacrifice our writing time even more. I think such times are when we have to go back to the question of why we’re writing what we’re writing in the first place. Is it a hobby? Something for our own personal enjoyment? Then maybe it doesn’t matter if we discipline ourselves to get it done. But if it’s for something greater—if we’ve been called to write and we are writing what God has given us to write—then we need to remind ourselves of that purpose and let His mission for us, HIS glory, drive us to prioritize our writing and work as hard as we can to see it to completion. How has God changed you during your writing journey? What’s one piece of advice you might give to your younger Writer Self? What great questions! Wow, where do I start? God has changed me so much in so many ways during this writing journey. I’ll just stick with the highlights and mention the biggest changes I think He’s wrought in me. He’s taught me about the importance of aligning my expectations to His and He’s taught me about patience and trust. When I started out in my writing and publication journey, a very long time ago, I had extremely different expectations than what have come to pass. This wasn’t my plan. But God is enabling me to see more and more that this is HIS plan. And because He promises all things will work for my good, I must trust that His plan for me, no matter how different it is than my original plan, is the best plan possible. Really, I have no right to be disappointed at any turn, because He planned this journey, and He has a great purpose in mind for every step. Ultimately, the problem is that I want to follow my own, hand-scribbled map (which would surely get me lost and into serious trouble in a hurry). I need to discard my inaccurate map and be willing to follow my Father’s instead, even though I can’t see the way far ahead. So the advice I’d give to my younger Writer Self would be to prepare for a longer journey than expected, but not to fear it. To change my expectations so that publication or worldly success is not my goal or destination, but rather so that following and serving Jesus every step of the way is all I desire. To always keep in front of me the truth that if I am honestly writing for God’s glory, then I can be just as joyful in times of rejection, waiting, and wondering as I am in times of publication, acceptance, and positive reviews. Disillusioned by Christy Barritt. Though this was actually my least favorite installment in this three-book romantic suspense series, I still enjoyed this one more than other books I’ve read recently. The reason why is Barritt’s writing. Through this series of the books, Dubiosity, Disillusioned, and Distorted, Barritt has become my current favorite romantic suspense writer. She’s a skilled writer who achieves the perfect balance, in my opinion, of suspense and tasteful romance. Her stories are gripping page-turners. More importantly, her characters have a depth and dynamic development that isn’t always seen in romantic suspense. She also fully integrates Christian themes that are both powerful and realistic, giving these stories relevant meaning that makes them much more than just entertainment. This is a tough question! (Though if there are gratuitous amounts of carbs involved, I’m SO there!) Aside from the biblical authors who wrote by God’s inspiration, I think I’d choose Harper Lee, author of my favorite book of all time, To Kill a Mockingbird. I would pick her brain about her inspiration for that story, how she learned to write with such brilliance, the influences of her own life that led her to write on the topic she did (and from a child’s perspective), why she didn’t write more books, and more. And I’d probably ask her if she has any ideas on how to be an incredibly successful reclusive writer in the twenty-first century! Haha, if you ever learn the answer to that, sign me up! So what do you do when you’re not writing? I have five furry family members (three big dogs and two little cats), so they take up much of my time when I’m not writing. But I’m also a major movie fan, which means I need to watch some movie or TV show (old classics, not the stuff on TV these days) in my downtime. When I’m not hanging out with animals or watching movies, you might find me cross-country skiing in our beautiful Midwest winter or baking some yummy desserts. How kind of you to ask! I would welcome prayer that I would continue to learn what I talked about earlier in this interview—to align my expectations with God’s plan, and to have patience and trust for this journey He’s leading me on. Please pray that I stay motivated and never lose sight of my purpose in writing—to glorify God where He has put me, by using the gifts He’s given me. Thank you so much for hosting me, Amanda! This has been so much fun! And thanks so much for being here! Jerusha Agen imagines danger around every corner, but knows God is there, too. So naturally, she writes romantic suspense infused with the hope of salvation in Jesus Christ. With a B.A. in English and a background in screenwriting, Jerusha is the author of the Fear Warrior Blog (www.JerushaAgen.com/blog), where she writes about fighting against fear in our everyday lives. You’ll often find Jerusha sharing irresistibly adorable photos of her Furry Fear Warriors (three big dogs and two little cats) on social media. Visit Jerusha at www.JerushaAgen.com and connect with her on Facebook, Twitter, Pinterest, and Instagram. Doesn’t that sound amazing? And I haven’t told you the best news yet: One of you lucky commenters will win a copy of your very own! Details at the end of the post, as always. Welcome, David! We’re so glad to have you today! What was your inspiration for The Baggage Handler? What do you hope readers take away from it? I’m the type of person who wants to talk about the deeper things in life rather than just small talk, so issues like the concept of dealing with baggage have always been a part of conversations I have. I guess it was just there not too far under the surface. The Baggage Handler itself was borne out of rejection. My first manuscript, about reality TV and churches, finaled in a range of fiction awards but I couldn’t get industry interested in it. Someone suggested for my next novel maybe I should focus on “life lesson” stories. I read a couple of stories like that, then at 9pm one night I was reading when The Baggage Handler arrived. It pretty much downloaded into my head. When I next checked the clock it was 1am, and I had the story, the characters, plot, twists, structure - almost everything. That hasn’t happened before or since with books 2 and 3, but I’m glad it did with The Baggage Handler. Fiction writing was always something I was going to do … one day. All these ideas for novels came to me, which I politely filed away for that mythical day in the future when all the financial ducks were lined up. That would allow me to comfortably approach the task of writing without the expectation of getting paid. When I had enough money or enough clients behind me so I could safely take the plunge into what is a vocation not flushed with cash, I would take my ideas out of my folder, and write fiction. (I currently have 17 storyboards sitting there waiting to be fleshed out into living breathing stories). Then God challenged me. He reminded me that His gift of notes with story ideas and novels on them wasn’t just it. He hadn’t just given me stories to tell, He had also given me the ability to tell it and He would provide the room in which to tell it. He took my writing dream, flipped it upside down and then stood back and said two words to me. I would have loved to have heard: “Publishing House.” Now that I could live with. I wanted to hear: “Great Story.” Now that would be the highest endorsement of my writing. A part of me wanted those two words to be “Best Seller”. The two words I heard were these. “Trust Me.” Two words no control freak wants to hear. So it is taking me a while, but I am getting there. As you look back on your journey to publication, how did God open those doors for you? What is one piece of advice you might give to your younger Writer Self? God has opened more doors on my writing journey than your average limousine driver. I’ve been to the States twice – both times to Nashville – and God provided for me to be there, in the right place at the right time. In 2016, my first manuscript was a finalist in the ACFW Genesis Awards and I had neither the time nor the money to get there. (You won’t get much change out of $5,000 to get there from South Australia). That money arrived from two completely unexpected sources, down to the last cent. I had corporate bookings that were immovable – except the client was able to move them because someone hadn’t promoted them for some (still) unknown reason. Then, at that ACFW Conference, I connected with James L Rubart, my mentor, who played such a key role in connecting me with Steve Laube, my agent. And although my first manuscript didn’t get anywhere, the seeds of The Baggage Handler were sown. In 2018, it happened again. I decided to come across to the ACFW Conference because HarperCollins Christian Publishing was five minutes away from the Conference venue, so I would get to meet my editorial team, marketing team and sales team. The money became available, again. The time freed up, again. And that Conference led to so many opportunities in meeting with other authors, finding publicity opportunities and has laid the foundation for a successful start for The Baggage Handler. Let me say this: without God opening these doors, I probably would still be standing outside. That would be the advice I would give to my younger self. You can’t do this alone, get on board with that concept quicker. So stop leaning on the door. Step back. And when it opens, step through with confidence that Someone else has it under control. You are one of a very spirited and delightful contingent of Aussie authors in ACFW. What, if any, challenges does having your agent, publisher, etc. based in the US present to you as an author? Why thank you. Aussies are naturally spirited and delightful - it’s in our DNA. My major challenge has been the distance. I’m 8000 miles away from my primary marketplace, my publisher and my agent. This means I’ve had to balance timezones and build extra time into my schedule because emails tend to have a bit of a lag as they arrive overnight. It’s like if email has gone old school and requires a postage stamp. It also needs a bit more logistical planning for media interviews as no-one wants to do a radio interview at 2:00 a.m. No-one. I’m really focused with my own business, so I tend to use blocks of time really well. I write on the train, or while waiting for the kids’ music and theatre rehearsals, or between client projects. The other thing I do that really helps is I dictate a lot. I’ll record whole chapters onto my iPhone, and then transcribe them into my story. Because I edit as I listen back, I don’t write first drafts. It’s almost first-and-a-half drafts. And I set hard deadlines for word counts. Because of the nature of running my own business, I guess I’ve honed my project juggling skills. Right now I’m marketing The Baggage Handler pre-launch, I’m editing The Camera Never Lies (which is due for release in December) and also writing Book 3 which will come out in 2020. The challenges are always balancing those activities with the priorities of the real world. Robert Ludlum is my hero, so he’d be across the table for sure. I met him when I was a teenager, and his response to my shaky question in the Q&A inspires how I write today. I would ask Ludlum about his plotting, and how he manages to paint such vivid backgrounds using only words. And I’d show him my book. I would also share a cup of tea with William Shakespeare. It would have to be tea, he is English after all. We would talk about his mastery of language, and how he crafted some of the phrases we still use today. I am in awe of the craftsman who wielded words like an epee. I have my own business as a copywriter, so when I want to earn money for my words, I turn to my clients. I have a teenage family (my wife isn’t, just to be clear), and we’re involved in College life and church life as well where I play bass. I love watching sport (okay, I’m a junkie) so that’s what I will often do to relax. And I also relax in the kitchen by cooking for everyone else. I’m a serial caterer. I should probably have a rest at some point. For trust. In all stages of writing – from concept development through to marketing. These doors keep being opened in front of me, but my request isn’t that they keep opening. It’s that I trust in the outcome whether they open or not. Thank you so much for sharing with us today, David! 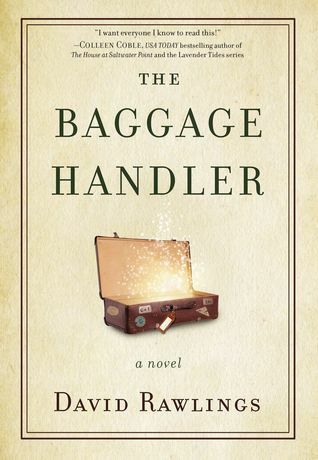 And now, for the Baggage Handler giveaway details! To enter, leave a comment on this post. We’ll randomly select a winner, and we’ll contact you with results next Thursday, February 28th! Connect with David at his website, Facebook, Twitter, or Instagram. Happy February, everyone! It’s been icy the last couple days here, so we’re hunkering down and enjoying the excuse not to go anywhere. Hope wherever you are that the weather’s cooperating, at least to some degree! On one hand, I can’t answer this question, because I can’t remember. I’ve always been a writer from as far back as I have memories. On the other hand, if I focus on my novel writing in particular, I was inspired to start writing by a scene in my head that wouldn’t go away. It was a scene closely linked to my own past and to a story I’d wanted to write for a long time that I thought would have to wait until my kids were grown up. But the scene demanded to be written and turned into a full-length novel. Then four more novels followed. As a foster mom, my writing routine varies depending on which kids are currently in my home. My writing routine also depends on the season…whether my kids are in school or on vacation, whether my husband is coaching basketball, whether it’s the holidays. As far as what obstacles or challenges I face in making time to write, see above! In addition to mom-related challenges, I also face the physical challenge of having “bad wrists.” Typing and scrolling with a mouse can exacerbate pain in my wrists and sometimes cause me to need braces. This condition can slow me down and sometimes force me to take extended computer breaks. Looking back on your writing journey to this point, what’s one important thing God has taught you? What is one piece of advice you’d give to your younger Writer Self? God has taught me that He has a plan and I don’t need to know what it is. He has asked me to just take one day at a time, one step at a time, and leave the big picture up to Him. It’s really not any of my business. I don’t think I would give my younger Writer Self any advice. The mistakes I’ve made needed to be made to teach me specific things, and I don’t actually have any regrets at this point looking back at my journey. But ask me again in another five years, and we’ll see! Mom stuff. House stuff. Ministry stuff (my husband’s in full-time ministry). Lots of walking on the treadmill. Lots of reading books. Oh for crying out loud. This is like asking which of the brownies from the plate was the best. All of Dale Cramer’s books are my favorites, but if I had to choose just from the most recent books I’ve read, I would say Long Way Gone by Charles Martin. The voice was so interesting and unique, and I loved the story so much that when I finished the book, I flipped back to the beginning and started it over. I’m so thankful for this question. I think my main prayer request is for the strength and patience to take everything—motherhood, writing, being a wife, ministering—one day at a time. It’s easy to look ahead, plan ahead, forge ahead. But I want to be content right where I’m at today. Katie Powner is an award-winning author and mom to the third power (biological, adoptive, and foster). She loves red shoes, candy, and Jesus—not necessarily in that order. Her awesome agent is Keely Boeving from WordServe Literary, and you can find her blog and other interesting things at www.katiepowner.com. For every new person who signs up for her newsletter, she will donate $2 to the Rehoboth Children’s Home in the Philippines. You can also connect with Katie on Facebook, Twitter, and Instagram. My guest today is romantic suspense author Kent Wyatt, who I’ve yet to meet in person, but I can meet—and introduce him to you—thanks to the magic of the Interwebs! Welcome, Kent! It’s wonderful to have you here. Thank you, Amanda, for the great privilege of being part of your blog. We love talking about stories with other writers and readers and you have set up such a great place to do that. We are honored. (So your readers will know, when you hear me responding as “we” it is because my wife Rebekah and I write as a team. I write. Rebekah reads, sticks out her tongue in disgust, and sends it back for me to make it better. We repeat this about fifty times until I finally wear her down and she concedes to the latest draft. Therefore, I use the word “we” even though I do the fun stuff and Rebekah gets the hard work). First question: What was the inspiration for your debut novel, Seeing Beyond? Seeing Beyond is about the economy of Heaven. By that, I don’t mean the current value of harp gold. I’m talking about the differences in what is of earthly value and what is of spiritual value. We knew that we wanted to write a romance that delved into what was truly valuable in relationships of various kinds while taking a few humorous jabs at the romantic illusions in which we humans can become trapped—some of the unrealistic expectations that can lead to disillusionment in marriage. In addition, we wanted some of our main characters to have special needs.My wife Rebekah and I have had many people in our lives whose genetic challenges lead them to be more dependent on family and friends. (You can read about one such interaction by going to our website, www.kentwyatt.org, and scrolling down until you get to a link for the true story called “The Santa Claus Man.”) We know that God does not make mistakes and one of the places we can see that most clearly is in how He has used our friends with special needs to teach us things about faith, trust, openness, and dependence on our Heavenly Father. We know a young man with Down syndrome who frequently reminds us to let go of the perfect facades we put up and just have joy in each other and in the Lord. James chapter two is one of the many places we see in Scripture where to follow the Lord we must all become like “the poor, rich in faith.” What is considered worthy in this world is turned on its head in the social structure of the Kingdom of God. In Seeing Beyond, we have tried to capture those ideas in a fun, exciting story with a unique twist. You had a long and no doubt fascinating career as a law enforcement officer, and we thank you for your service! How does your career influence your fiction? Are there any real-life experiences you had, be they funny or dramatic, that we may find ourselves reading about someday? When you do something for over 30 years it becomes a part of you. Some readers have told me it really comes through in my action scenes. In Seeing Beyond I have recreated an incident that happened when I was a Colorado Springs Police Officer. A female officer, who was a friend of our family, caught a burglar coming out of a building she was checking. She was alone and he was bigger and stronger than she was. She knew she wouldn’t win a regular fight with him, so she began to push him down while staying out of his reach. She was calling for help on the police radio, but because of her location we were having a hard time finding her, so to say it was a tense moment would be an understatement. She prevailed until her backup finally found her by continuing to push him down every time he tried to get up and never letting him get a hold of her. In Seeing Beyond, I have recreated the tension of that incident in a different scenario. Throughout our novels, you will find my experiences in the interviews, the crime scene processing, the fight scenes, the authentic events and in the humor. It all comes out in my writing. What does your writing routine look like, if you have one? Do you have a set time of day you write? Daily goals? Are you a plotter, pantser, or somewhere in between? I am all over the map. Because I work a full time night shift job along with my writing, I grab writing time when I can. I use Evernote to capture ideas continuously. When I get ready to write a novel, I start out with the basic outline of a story in my mind and the spiritual aspect that I want to explore. Then I start writing and see where the characters interacting with the situation take me. I try to get the rough draft done quickly. In my job at the hospital, I work three 12-14 hour days and then have four days off. On those days I sometimes binge write, taking a break only to sleep, eat, and interact with my family. When the story is flowing, I let it flow. Then Rebekah starts her editing process. She will point out the areas that are cliché, boring, or confusing, and I will go back and rework them until she approves or we just give up. We try not to be satisfied with the usual. I frequently ask, “What would people expect to happen here?” and then try to write something different. When I am stuck on a scene, I walk away and we pray that God will pour something in me that is beyond myself. Our writing is first a ministry and we rely heavily on His help to make it amazing for the reader. How has God changed you during your writing journey? What lessons have you learned that you’d go back and tell your younger Writer Self? First, I would constantly remind myself to seek God above all else, so I would be better equipped to do what he has called me to do. Write more and start trying to write for publication sooner. (I have more books in me than I have years.) Don’t let your wife telling you that a scene stinks set you into a stream of whining, sniveling justifications and excuses. Just rewrite the scene! If you could have coffee/tea/gratuitous amounts of carbs with any author(s), living or dead, who would you choose? What would you want to talk about? C.S. Lewis. I would ask him all the questions you just asked me. Then I would ask him to just tell me about God. Fortunately, through his books, I can still experience a lot of that conversation. That is the power of what we do. Pray I don’t have to do as many of those things I don’t want to do…so I have more time to write. (While you’re at it you might pray that I don’t do as many dumb things that get me in trouble with Rebekah. She’s the best cheap editing help a guy can find…uh oh, I did it again. See what I’m talking about.) Seriously though, pray that God will continue to give us the words that keep people coming to our books for fun and excitement so they can find Him inside the story. Kent Wyatt is a 30 year plus veteran of law enforcement. For over half those years he has been entertaining readers with his stories about everyday life and police work from a Christian cop’s perspective. A native of northwestern Kansas, Kent served in law enforcement agencies in Kansas, Colorado, and Oregon before retiring to beautiful northwestern Arkansas, where he lives with his wife, Rebekah. 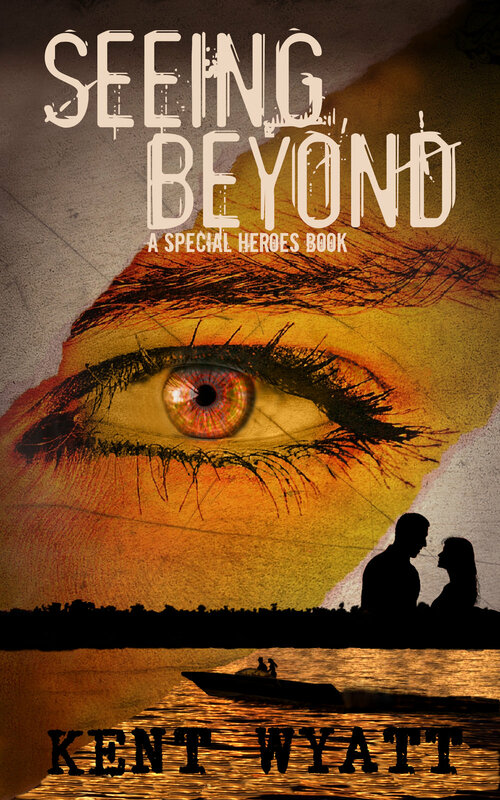 His debut novel, Seeing Beyond, is available now on Amazon, and he is currently working on the rest of the Special Heroes series. He loves to connect with readers at his website. Merry Christmas to all my blog readers! Although I can be a total grinch in November and insist on shoving off all things Christmas until after Thanksgiving at the very earliest, once my calendar flips to December, I am more than ready to celebrate my favorite time of year. I thank all of you for being a part of my world in 2018, and I wish you nothing but joy and blessings for your Christmas season. Today’s blog guest is Kerry Johnson, a fabulous friend I had the privilege of meeting in person this year at ACFW! If you follow her on social media, you’ve likely met her hilarious (and GORGEOUS) sun conure, Mango, but now it’s time to get to know Kerry a little bit better! Plus, she’s offering a sweet giveaway (details at the end of the post)! I’ve loved reading from childhood, and around age ten I started a story about a boy in Alaska and his dog-mushing team (can you tell I read a lot of Jack London and animal stories?). I like to remind my boys I wrote that first story by hand on one of my dad’s yellow legal pads, pre-technology. I think I made it to thirty or forty pages, and I’m a lefty so the ink smudged all over the paper. The bulk of my childhood was spent in the Connecticut woods playing make believe with rock horses and tree people, and this fostered my imagination. As a young adult I read a quote by a famous author that noted writers have all these characters talking in their head and we write to quiet them. It was an ‘ah ha’ moment. Like, oh good, I’m not crazy. Well, I am a little bit. Well, if you are, you’re the best kind of crazy. You’re Writer Crazy. Welcome to the dark side. We have coffee. What is this strange word you speak of--routine? During a normal week in a normal school year, I work part-time, so I have a couple of days a week to write while our two boys are in school.This year has been quite abnormal in that I’m homeschooling my younger son and I now have a wonderful agent (Praise God) who would like revisions and such in a reasonable time frame. Imagine that! So, it’s been a good year but also hard and busy in that I’m homeschooling for the first time and I’ve also done major revisions on two stories since the summer of 2018. I prefer writing at home, so the hours when my boys are in school are gold for word count. I’m thankful that they’re old enough now they’re fine on their own when I’m writing/revising during summer break. How has God changed you during your writing journey? How have you seen His provision and guidance? In so many ways. I started writing my first novel in 2008 and finished in 2009. It wasn’t fit to see the light of a reading light, and I wasn’t ready to be published. Praise God that He doesn’t show us the long road ahead, and instead sends moments and people to encourage us forward. That’s a decade of dreaming and hoping and lots of writing (I have four completed manuscripts, two mostly done, and two a few chapters long), so I’ve learned to wait on Him…and wait on Him some more! I recognize that I needed the years to learn the craft, connect with some amazingly encouraging authors and sisters in Christ, and draw closer to the Lord. Now I’m grateful He didn’t allow me to get published early on, because I had so much to learn and experience to get to this point. I’m also grateful for my patient husband. Attending writing conferences and entering contests isn’t cheap, and he’s helped move my dream forward with his belief and support. I walk a lot. Nothing inspires me as much as a long walk in God’s creation. It clears my mind and often it’s prayer time. Reading is another favorite hobby, though as I’ve gotten further along in my writing career, the reading time has diminished. Every Friday we have family movie night. Friday nights are precious—you can’t get me out of my house and away from my guys, even with chocolate. I love time with our extended family too. My parents and my sister and her family, as well as my husband’s family, all live within two hours of us, so we visit often. Target runs with my sister are the best. Oh my, how do I answer this? Each book leaves different impressions on me. They evoke a unique variety of emotions, so it’s difficult to pinpoint a favorite. Elizabeth Byler Younts’ The Solace of Water was absolutely lovely and incredibly gritty too, and I loved that. But I’m also a romance sap. Laura Frantz’s stories always deliver tender romance, and I value the honesty of the middle grade genre, too. Beyond the Bright Sea was a fascinating middle grade historical that I loved. Cathy Gohlke’s novels hold a special place in my heart as well. Her Titanic-inspired historical, Promise Me This, is one of my all-time favorite stories. Promise Me This!! I LOVE that book!! Y’all, if you haven’t read that, put it on your TBR pile, stat. It’s wonderful. *chants* Keep writing, keep writing, keep writing! Book One was finished in 2009 and I didn’t start a second book until 2014! Those are wasted years. Don’t do like I did. While it is possible to learn craft by reading about it, you’ll know it best when you put the knowledge into practice by writing more stories. Hands down, Corrie ten Boom. The Hiding Place shifted something in my soul when I read it several years ago. I’d love to hear her speak about her life and her faith. I’m fascinated by persistent flickers of love and faith in the midst of total darkness, and that’s what she was and how she lived. I’d also enjoy listening to Francine Rivers talk about her stories—they (and her characters) always resonate with me. Last question, Kerry. How can we pray for you? Thank you so much for having me on your blog, Amanda. I would greatly appreciate prayers for a humble spirit and a helpful heart—it’s so easy to get wrapped up in my publishing journey and focus on me, me, me. I pray God will use me to help and encourage other pre-published authors too, even after (Lord willing) I’m published. As far as my stories, I pray they connect with the right editor and leave readers with a happy sigh and a big smile. Thank you for sharing! We’ll definitely be praying! Kerry Johnson has had a love affair with stories since she was a little girl. She earned her B.S. in English Education from the University of South Florida, then taught middle school remedial reading and Drama before spending eight years as a stay-at-home mom and wife. 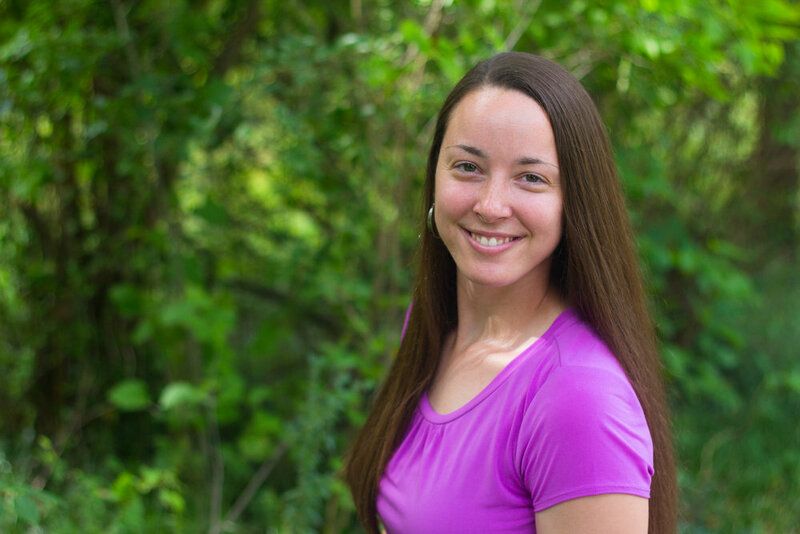 She has been published in Creation Illustrated, Granola Bar Devotionals, and was a regular contributor to Tampa Bay’s Overflow Magazine from 2011-2013. Kerry has been a member of ACFW (American Christian Fiction Writers) since 2011. 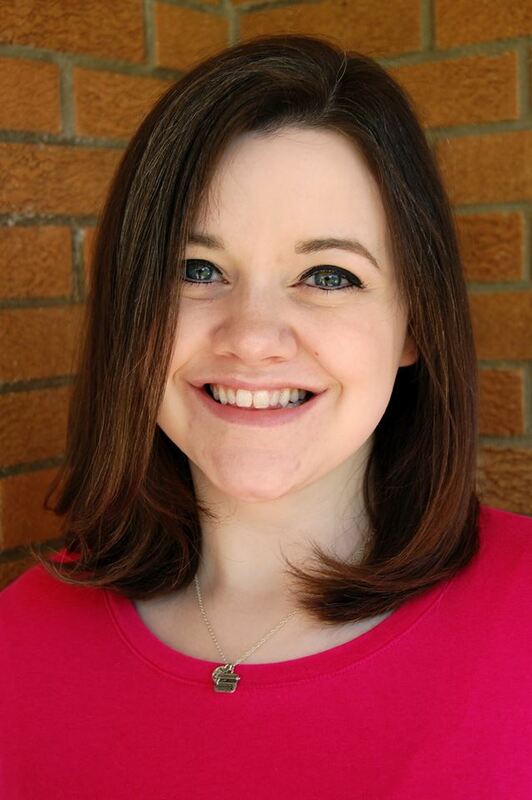 Her contemporary romance, The Name Game, was a three-time finalist in ACFW’s Genesis Contest (2016, 2017, and 2018), and her middle grade manuscript finaled in 2015, then won the Genesis Award in 2017. In 2016 and 2018, two of Kerry’s manuscripts won their categories at the Florida Christian Writers Conference. Kerry lives in Tampa Bay with her engineer husband, two active boys, and way too many books. She’s represented by Ali Herring with Spencerhill Associates. You can find her online at her website, Facebook, and Twitter, where she shares an overabundance of pictures of her sun conure, Mango and lazy boxer, Boomer. Kerry is offering a free ebook copy of her devotional, Grace for the Gaps: Rejoicing in Jesus on Life’s Journey, to one lucky commenter on this post! (I’ve started reading it, and it’s fabulous!) To enter, simply leave a comment on your favorite Christmas traditions, your best recent read, or anything at all! Winner will be chosen and announced one week from today! I’m super excited to welcome romantic suspense author Jennifer Pierce to the blog today! Her newest novel, Expecting Danger, releases next Tuesday, December 4, but one of you lucky readers will get an early Christmas gift, as Jennifer is giving away BOTH of her novels to the winner! Welcome, Jennifer! Thanks for being with us today! What was your inspiration for Expecting Danger? I wish I could tell you. Lol. The opening scene came to me one day. Once I started writing it, I thought I’d have Jacob, a/k/a Jake, be the hero of the story, and it all developed from there. How has the writing, editing, or promotion process for your second novel differed from your first? What worked well for you the first time around that you’re repeating, and what are you doing differently? How did God change you, or what did He teach you, during the writing of Expecting Danger? What lesson do you hope your readers take away from the book? I hope that the readers learn that it doesn’t matter who you are, what you’ve been through, or what you’re currently going through: God is always with you. I don’t have a writing routine. I’m married with two kids and work full time so I write when I can. I’ve found I do my best writing on my lunch break. Maybe not my best work, but I can focus more on my lunch. Otherwise, there’s family and social media to distract me. As you look back on your journey to publication, how did God open those doors for you? What event or connection that may have seemed insignificant at the time ended up being enormously important? God opened all kinds of doors for me in this process. I had originally written Hidden Danger to submit to Harlequin Love Inspired Suspense. It was rejected so I put it to the side so I could finish Expecting Danger. My best friend kept trying to get me to submit it to different publishers. I wanted to wait until I had Expecting Danger finished so I could say, “Oh, you like Hidden Danger? I happen to have a second novel.” It didn’t happen that way, though. One day I was on my lunch break and playing on social media when I noticed a friend had shared a post about #PitMad going on on Twitter. I thought, “Why not?” I boiled the 55,000 word novel to 144 characters and got a like within five minutes.The contract came less than a month later. God has truly blessed me. Oh, that’s hard. I have so many I’d want to hang out with. Can we have an author party? If I had to choose just a few I think I’d want C. C. Warrens, Dana Mentink, Shirlee McCoy and Angela Ruth Strong. We’d start off talking about writing of course, but I’m sure we’d branch off to other fun topics and stories. What do you do when you’re not writing?. I’m a paralegal by day and a referee by night. My kids and I like to play Skipbo and Phase 10, when they’re not fighting. I’ve always got a book around me too. Thank you so much for asking. I could definitely use prayers. I recently had an MRI of my lumbar spine and I’ll be making an appointment with a neurosurgeon soon. It looks like surgery is in my future. I’d appreciate prayers through this journey. Yikes! We will definitely be praying for that. As usual with my giveaways, leave a comment on this post to enter; the winner will receive a digital copy of both Hidden Danger and Expecting Danger! We will draw and notify the winner one week from today! Jennifer Pierce currently lives in Arkansas with her husband and two children. She is a member of American Christian Fiction Writers and River Valley Writers, where she serves as secretary. Connect with her on Facebook, Twitter, or at her website. You all are in for a real treat today, because our guest is Janine Rosche, one of the most genuine (and genuinely funny) humans I have ever had the privilege to meet. She’s also super-generous and has an AMAZING giveaway planned for one of you lucky ducks. Details at the end of the post! Welcome, Janine! It’s great to have you as our guest today! Have you ever felt like you needed to say something and if you didn’t, you were either going to explode or lose your mind? Well, I decided to start writing as a way to get the Holy Spirit to simmer down inside me. I’d had a story playing on repeat in my head for eight years. EIGHT YEARS. Finally, I started jotting it down. With every chapter, I felt lighter. I know it sounds cliché, but six weeks later, I had a complete manuscript, all thanks to the Holy Spirit. Too bad the Holy Spirit needed to work on his self-editing skills. Don’t tell him that though. Sadly, most of my “writing time” is spent not writing. I’m either editing, surfing Thesaurus.com (yeah, I admit it), or building my website or social media platform. When I am writing a new manuscript, my routine typically starts with me waking up way before my alarm. And though I beg my characters to go back to sleep, they are morning people with the patience of three-year-olds with a bellyful of cotton candy. So I relent. With a mug of flavored creamer with a splash of coffee, I write obsessively for hours, stopping occasionally to make my kids food or brush my teeth. I teach Human Development and Family Studies classes for the University of Colorado, Denver in my other career. I’m fairly passionate about research into what helps individuals and families thrive despite terrible circumstances. I incorporate these concepts into my stories, making sure to focus on hope, redemption, and strong relationships. I also like to eat nachos. I don’t mean to brag but I’m kind of a connoisseur. What is the funniest thing that’s happened to you in your writing life? I’m horrible at naming characters. When I finished editing my first novel for the fourth time, I came to a realization. Almost all of characters’ names rhymed. There was Shane Olson and Jonah Tolson. Vann, Ryann, and Tristan. Then, there were the near duplicates Joe, Josie and Jodie, and Rick, Nick, and Nicky. Those made it through FOUR self-edits. If you could have coffee/tea/gratuitous amounts of carbs with any author(s), living or dead, who would you choose, and what would you talk about? I’m the creepiest fangirl. Like, heaven help you if I like your book, because my obsession knows no bounds. But when I meet someone face to face, I become someone you’d think has never had a face-to-face conversation in their life. I already embarrassed myself at a lunch with Denise Hunter when I told her how much I liked the pickup truck makeout scene of my favorite hero of hers (Riley from Just a Kiss). Yep. So, to spare her further torture, I’ll choose Francine Rivers. Sure, I’d probably just sit there catatonic like Ralphie from A Christmas Story when he sits on Santa’s lap, but maybe the nearness of her would somehow elevate my writing. And maybe, just maybe, she’d be willing to endorse my future book, Redeeming Love 2: Soccer and Suburbia. My first heroine was based off the part of me that tends to be very melancholy and victimized. By the end of the book, I was tired of feeling so sorry for her. So in my next book, I focused my next heroine on the independent, faith-filled, and passionate part of me. The Lord taught me a lot about strength in hardship through her story.That girl has courage and a furious love for God, her family, and her friends. I admire her. What advice would you give to your Younger Writer Self? I’m currently shopping my manuscript to editors. It’s a lovely story about finding both love and your God-given purpose in life after you’ve royally messed it up the first time around. I pray that it will minister to people, even if they only read enough of it to reject it. I hope that some truth or a measure of hope will stick with them as a result. And my health. As a writer and online lecturer, I spend a good deal of time sitting and it has wreaked havoc on my health. Plus, the nacho-thing. So pray for nachos to start tasting like carrots, or for carrots to start tasting like nachos. Either would probably work. Carrot nachos. It’s gonna be a thing. And now for the giveaway! Janine is offering a $15 Amazon gift card AND a copy of Denise Hunter’s “Just A Kiss,” featuring the aforementioned Truck Makeout Scene, to one lucky commenter to this post! Just leave a comment to enter, and we’ll notify the winner next Wednesday! After living all over the United States, Janine Rosche has settled in Northwestern Ohio with her husband and four children. With a master's degree in Family and Consumer Sciences, she is a certified family life educator and online lecturer at the University of Colorado-Denver. She has taught courses in human development, love and marriage, psychology, and family relations. She infuses this experience into her contemporary romance novels by creating strong characters and relatable conflict, all within rustic settings. Janine loves to connect with readers and fellow devotees of Denise Hunter and/or nachos. Stalk her online at her website, Facebook, Twitter, and Instagram. The online writing community is fabulous and supportive, but there’s just no substitute for knowing someone in person! Today’s guest is one of those precious writer-pals who’s become an in-person friend as well, thanks to being my roomie last year at ACFW. It gives me great joy to welcome today’s guest, Robyn Hook! Hi, Robyn! Thanks for hanging with us! Thank you so much! It’s wonderful to be here! What inspired you to start writing? What are you working on now? I started writing after my husband’s cousin was in a bus accident. A beautiful, joyful, young woman on her way to a mission trip with other college students from the same Christian University where I had earned my master’s degree. The bus driver fell asleep and the bus veered off the road and flipped. Many were injured, but she was killed. I questioned how God could allow it and wondered how the bus driver felt, dealing with that level of guilt. Out of those questions, my first character was born— a young woman responsible for the death of her sister in a car accident. The hero of the story is also dealing with guilt over his past choices,and together they find true forgiveness in grace. My second novel was much lighter and now I’m working on several more. What does your writing routine look like, if you have one? What obstacles or challenges frequently crop up when making time to write? This is the first year all my kids are in school, so I’m excited to be able to treat writing like a job. In the mornings I pound out as much as I can while the house is quiet. I try to protect that time because it’s easy to let other activities get in the way. I may also write during the evenings after the boys are in bed.Also, to repay all the help I’ve received from so many experienced authors, I try to give back by doing critiques for new writers. And of course, I love assisting my critique partners with their work—mostly because I love to read their stories. I have a never-ending list of mom duties for my boys, ages 5, 7 and 10. Thankfully my husband does his own laundry— probably because I don’t keep up! I’m also working on getting an exercise routine going. And I love to draw. I’m targeting the Love Inspired line for my Christmas novel, so I’ve been reading their contemporary line. And I love Arlene James. Her romances feel authentic and her spiritual threads are so relatable. I’d love to sit down with Francine Rivers. Her Mark of the Lion series is one of my all-time favorites. At the beginning of my writing journey, I read new-writer advice from her that went something like,“your relationship with God is the most important thing. Work on maturing as a Christian.” It was so different than the majority of the instruction I’d read,which focused on learning craft, improving grammar etc… I’d like to talk about that, about her writing journey from a mainstream romance writer to the inspirational market, and spirituality in general. About two years into my writing journey, I was diagnosed with breast cancer. I managed to keep writing through chemo, surgery and radiation treatments, but it was hard. Now I feel blessed to have experienced it. I understand what it means in James 1:2… consider it all joy when you face trials of many kinds. Wow! What a beautiful testimony! Last question, Robyn. How can we pray for you? Focus. I have novels started in different genres: mystery, contemporary, historical, even a YA fairy tale. I could use help in identifying which one to pour my energy into. Which would serve the Kingdom well, and hopefully also sell in a book market I’m just starting to comprehend. Done and done! Thanks so much for being here today, Robyn! Robyn Hook writes inspirational romance. 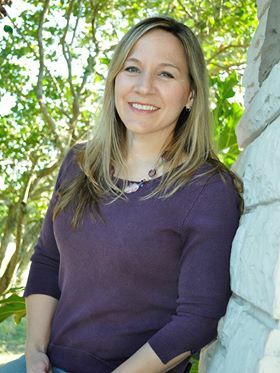 She earned a Master’s in Clinical Psychology and has worked as a counselor and university administrator before answering the call to be a work-at-home writer-mom.She’s a member of American Christian Fiction Writers and is currently preparing her novel for publication. She and her husband live in Northwest Arkansas with their three young boys and a two rescue dogs. Find her at www.robynhook.com and on Twitter. I’ll admit, I’m not super crazy about Halloween, but I LOVE October. Cooler temperatures, playoff baseball, football in full swing, beautiful leaves…and some AWESOME new releases to keep me turning pages in front of a fireplace that’s finally getting some use! Abigail Horton’s life is turned upside down during the last night of a week-long revival when her father—believed dead—shows up in the custody of a Texas Ranger. Abby is thrilled to see him, and equally devastated to learn he’s been living the life of an outlaw. Texas Ranger Caleb Calhoun stops in Moccasin Rock to let his prisoner, Bob Horton, visit briefly with family before transporting him to Austin for trial. Caleb takes a room at the family’s boarding house, planning to be in and out of the small town by morning. But within hours he’s kissed Abby Horton, made an enemy of her naïve suitor, and let his prisoner escape. As Caleb searches for the missing outlaw, and Abby struggles to keep the man’s whereabouts a secret, they also battle a growing attraction to each other. Throw in a Calhoun family mystery, an elderly preacher on a mission, an old flame of Caleb’s, a secretive spinster, a team of surveyors, and Abby’s mother and brother—and you have a compelling story of faith, family and forgiveness. Howdy, Laura! Welcome to the blog! Thank you! I’m thrilled to be here! What was your inspiration for Remember Texas? For many years I wrote for small-town newspapers. My favorite stories to research were the historical features—the stories of an area’s earliest settlers. Gun-toting preachers who presented the gospel in brush arbors and tabernacles, train-robbing outlaws, once-thriving towns where there’s nothing left but a cemetery. I didn’t want to use those specific stories, of course, (and most of the time there wasn’t much information available, anyway). So I asked myself two questions when I read something interesting: What if? and What Now? Then I let my imagination run wild. What did God teach you during the writing/publishing of Remember Texas? That I work better when I keep my eyes on Him. And that prayer, specifically for my writing, makes a huge difference in my daily work. I write every day, but because I’m a panster (I’m trying to retrain myself to be a plotter) and I have a short attention span, that doesn’t always equal usable words. Some of my best dialogue comes when I’m washing dishes. Or driving. I’ve been known to pull over to a safe spot and jot down whole scenes. I most enjoy spending time with my family. My husband and I have two daughters, two wonderful sons-in-laws, and five grandchildren. No matter what we’re doing, even if it’s just having dinner together, there’s so much laughter. They are truly the lights of my life. I also enjoy photography, researching and writing non-fiction articles about Texas history, watching old black-and-white movies, and doing genealogy research. If you could have coffee/tea/gratuitous amounts of carbs with any author, living or dead, who would you choose? What would you talk about? Wow. This is so hard. But I’ll narrow it down to two. First, author Tina Radcliffe, who reaches out to beginning writers with advice, encouragement, prayer and virtual coffee. I’ve not yet had the privilege of meeting Tina in person, but I would love to sit down over a real cup of coffee and just visit. My other choice would be the late Harper Lee. I’m not sure what we would talk about. Not sure it would even matter—I’d just listen to her talk. Perhaps I would ask her to recite some of my favorite lines from To Kill a Mockingbird. Thanks so much for being here today, Laura. One last question: How can we pray for you? Please pray that I never confuse my wishes with His will. I think that’s something we all need prayer for! As I mentioned earlier, one randomly selected reader will receive a free ebook copy of Laura’s debut, “Remember Texas.” To enter, just leave a comment on the post telling me your favorite thing about October, or your favorite thing you learned from Laura’s interview. Winner will be selected and notified one week from today, October 25, and we’ll post it in the comments! Laura Conner Kestner is a seventh-generation Texan who spent 25 years in community journalism before deciding to pursue a career in fiction. She’s a member of the American Christian Fiction Writers and Romance Writers of America. Laura’s won several writing awards, including the 2016 ACFW Genesis Award for contemporary romance, the 2017 Daphne du Maurier award for excellence in mystery/suspense, and the 2016 RWA SARA Emma Merritt award for inspirational romance (for Remember Texas). She was a 2017 RWA GOLDEN HEART® finalist, and a double GOLDEN HEART® finalist in 2018. 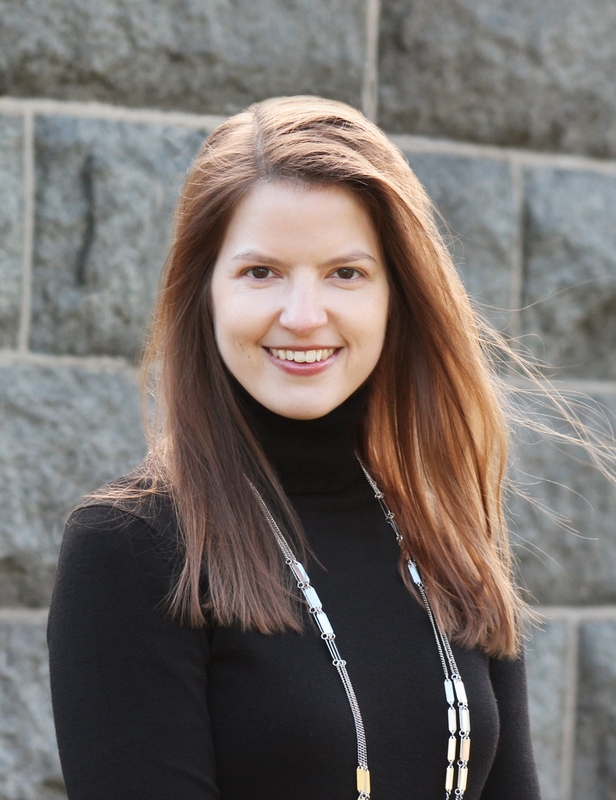 Laura loves to connect with readers on Facebook, Twitter, and her website. Hello again, everyone! The weather has been surprisingly fall-like in my neck of the woods, so I'm ALL IN with fall. Decorations, football, pumpkin-flavored baked goods...although I have to say, I am not a pumpkin spice latte person. What about you all? Is it still summer where you live, or are you starting to experience the wondrousness that is autumn? Welcome to the blog, Alexis! Thanks for being here! Which character in Love in Pictures was easiest for you to write, and why? Which one presented the greatest challenge, and why? They were all easy to write. Lol. Logan was a bit of a challenge only because I needed to really do my homework in researching his stuttering problem and the methods of speech-language pathology that help him cope. My husband and I are different races, so I love seeing interracial couples represented in fiction! What challenges did this premise present for you as a writer? There weren’t any major challenges apart from finding the balance between being real about race-related issues that happen in the real world and trying to not offend anyone through how my characters deal with injustice. Honestly, I watered down the race related issues in my book. Real-world realities that affect people of color can be a lot worse and oftentimes are not easily resolved or resolved at all. I didn’t want to make this story a heavy, depressing read. But I also wanted to do justice to the race-related issues that many people of color—especially interracial couples—face in the real world. What do you hope your readers take away from Love in Pictures? Lesson #1: We all deserve to be treated with genuine kindness, regardless of our different races and physical features. Lesson #2: Race related injustices are real and still take place today in 2018. So we should again, try to be kind to everyone because we’re all dealing with an issue, race-related or not. Lesson #3: True love should always win! Fight for it. No event in my life or connection made has ever seemed insignificant to me because everything and everyone has a purpose. But one of my online writer friends and I connected at the first writers conference that I attended and years later, that connection led me to working with my publisher who gave me my first writing contract in January 2017. It was a blessing from God! Looking back, I know that He orchestrated those connections and opened the door for me to become a traditionally published author. God is good! I’m working on another standalone story that focuses on a bakery in the heart of a major city, and the characters that love it. The plot involves a formerly fat pastry chef who is now every woman’s dream catch. But he cannot commit because his heart is still set the one girl from high school who he loved form afar. What he doesn’t know is that she grew up to be a food writer and works for a magazine that’s located down the street from his bakery! That sounds great, especially the bakery part! I can't wait to drool over/read it! When I’m not writing, I’m making/eating good food, watching movies, spending time with loved ones and thinking about my next book! I’d love to visit Vanessa Riley at one of her famous dinner parties because she has a Regency kitchen and cooks food that looks like it tastes so good (as seen on her Facebook posts)! Either before the guests arrive or after they leave, I’d like to talk about food recipes and fiction stories because not only can she make delicious food like a seasoned chef/baker, she can write. I’m not usually a fan of Regency Romance stories but if Vanessa Riley wrote it, I’ll read it because her writing is that good! Alexis A. Goring is a passionate writer with a degree in Print Journalism and an MFA in Creative Writing. She loves the art of storytelling and hopes that her stories will connect readers with the enduring, forever love of Jesus Christ. She loves to connect with readers on Facebook, Twitter, Goodreads, Pinterest, her website, or at the "God Is Love" blog. Hamish DeLuca has spent most of his life trying to hide the anxiety that appears at the most inopportune times -- including during his first real court case as a new lawyer. Determined to rise above his father’s expectations, Hamish runs away to Boston where his cousin, Luca Valari, is opening a fashionable nightclub in Scollay Square. When he meets his cousin's “right hand man,” Reggie, Hamish wonders if his dreams for a more normal life might be at hand. Doesn't that sound great?? I'm particularly excited for this book because of Hamish's anxiety issues; that's something I struggle with on a daily, and I'm so glad to see it represented in fiction! Welcome to the blog, Rachel! So glad you're with us today! How did God change you during the writing of Murder at the Flamingo? What do you hope your readers take away from it? I do not know if I can say I was changed at all while writing this story. What did change was the level of empowerment I felt at finally addressing something deeply personal to me: a lifelong anxiety and panic disorder. I have always felt that if God wanted me to be someone else, He would have made me so and I have never been more settled in owning what I perceived my greatest weakness as I did in finally suffusing a character with it: hurdles and challenges and physical symptoms and all. I think that I sensed that this entire idea and the amazing way in which I was able to seamlessly move to a new publisher and tell this story was orchestrated by God. And very much, I hope, for the purpose of empowering conversation among believers and non-believers about their limitations. 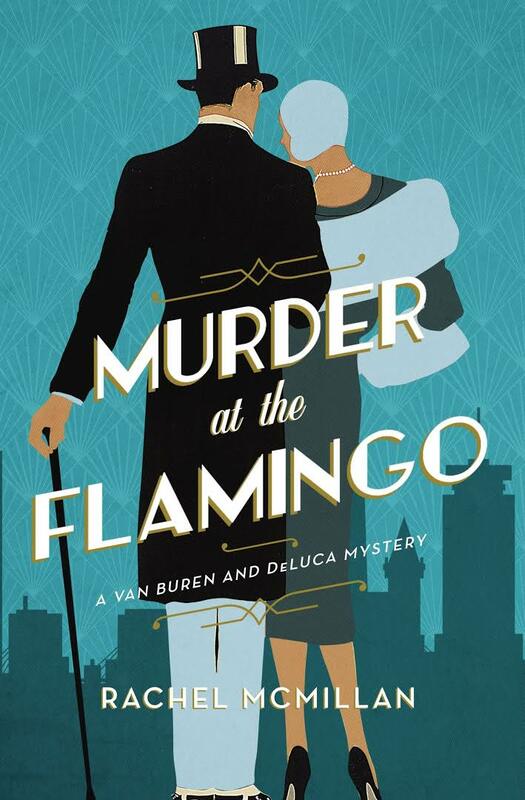 At one point in Murder at the Flamingo, Hamish DeLuca recognizes that what he always thought was his greatest weakness—the limitations of his mental illness—is actually a great strength: it loans him an ability to sense inauthenticity (a great trait for a detective), and it gives him an added sense of empathy. I hope that readers take away the ability to change their perception of a struggle or weakness they deal with. What have they always thought was something lacking in themselves that may actually be a hidden power for good? Empathy, as Hamish’s father tells him, is the greatest gift: it transcends gender and race and class. Is there something you struggle from that might actually give you an added ability to emphathize? If so, how powerful is that. You frequently visit Boston while researching your stories. What are your favorite places there? Is there a must-see, “no trip to Boston is complete without it” spot for you? I ADORE ALL OF BOSTON! I know, I know! So many things. A lot of the series takes place in the North End of Boston which is very much the Italian quarter of the city. And it is by far the first place I head after I get the train downtown from Logan Airport. The North End has a history that is this wonderful tapestry: it is where Paul Revere lived, of course, so it has the American Revolutionary history to it (a huge flavour of the Van Buren and DeLuca series). It is also home to the Old North Church---where the famous lantern hung signaling One if by Land, Two if By Sea. Hamish DeLuca not only has one of the best names EVER but also struggles with anxiety. As someone who shares in that struggle, I love seeing it represented in fiction! What was your inspiration to include that element in Hamish’s character? What has been the most important thing you learned while researching that aspect? Like you, I am a lifelong sufferer. But I have been lucky. I have a psychiatrist who has helped my quality of life, access to the medicine I need to keep from the constant hand tremor and stutter that are two personal symptoms that result from my illness (the symptoms, of course, vary from sufferer to sufferer) and enough cognitive therapy to lessen (though not completely eliminate) panic attacks. I really felt it was time to write my history into a book to help empower the conversation in the fictional sphere but also to normalize it. This series is not an “issue” series. Hamish still solves crime and goes on adventures with Reggie and falls in love. But I wanted to show how someone lived with it day-to-day in a time period where it was glaringly misunderstood and heavily stigmatized. Of course, the symptoms haven’t changed over the years, but our medical perception has. I read dozens of medical studies from the time period as well as books on the history of psychology to understand how Hamish would be treated and viewed in that time period. What that research determined was how he was at very great risk of being fed with mercury pills, locked in a sanatorium or even exposed to shock treatment. Hamish’s greatest hurdle at the beginning of the book is hiding his symptoms: something his father taught him from a young age. At first Hamish assumes this is due to his father’s embarrassment, but eventually recognizes it is for self-preservation. As you look back on your journey to publication, how did God open those doors for you? What event or connection that seemed insignificant at the time ended up being enormously important? This book series story is an enormously important study in connection and God’s timing. In traditional publishing there is a typical process in finding a publishing home. It involves an entire manuscript completed and your agent shopping to editors. My first publisher (with whom I was very fond of working) informed me that they were closing their fiction line and while they would publish through my contract, they wouldn’t be pursuing anything else. I didn’t know what to do next. My agent advised me to get a few other things going (always have something in your back pocket) but I wasn’t sure what step to take. I am a writer who has so many ideas in numerous genres. But I had sketched this idea of Hamish DeLuca and Reggie Van Buren in 1930s Boston as a follow up(which it is) to my Edwardian-set Herringford and Watts series. This became very easy when the then-VP of Fiction at Harper Collins Christian reached out to my agent (usually it is the other way around) and started a conversation about my finding a home there. We told her about this project. Honestly, pre-pubbed writers, things rarely happen this way so I recognize how fortunate and blessed I am. It is really one of those wonderful publishing stories. They ended up signing this series on three sample chapters and a proposal. Of course, the final Flamingo looks nothing like the three sample chapters did lol. But, it is a great reminder for all writers that you are being watched: on social media, in your blogs, at conferences. There is so much more to writing than just one manuscript or contract. Build yourself as a brand. You might be recognized or memorable. Your agent might get a call when there is a market need. So my connections in the industry definitely led to this amazing opportunity with a dream publisher. I also include this story because when I was a pre-published writer, I loved reading stories about the magic moments in publishing. The “See, it could happen” stories. They are rare; but they do happen! So be encouraged. What does your writing routine look like, if you have one? What obstacles or challenges crop up when making time to write? When employed full time, writing is something you do around work. So I have never truly been able to view it as a full time job. It is an evening and weekend job that, if I am lucky, I can pursue through some weeks and holidays uninterrupted. I try to write something every day. Whether it is for a contracted series or to work on a novella I will self- publish (I published my first contemporary romance, Love in Three-Quarter Time, this past winter, and I am doing more). I never write chronologically. This is because time is of the utmost. I cannot afford to have “Writer’s Block” so if I am stuck on a scene, I move ahead and then loop back. I hold myself more accountable to the amount of hours I sit in a chair than to word count. Some word count days are better than others, but if I have the accountability of working through the chunk of time I set for myself, that is helpful! If you could have coffee/tea/gratuitous amounts of carbs with any author(s), living or dead, who would you choose? What would you want to discuss? This is super fun! Because this question always had the same response: Lynn Austin, who is probably my favourite living writer. I had so many questions as a reader and writer and someone who has been so influenced in her faith journey by Austin’s work and heart and life. I was at a bookish event in Grand Rapids in May called the Fiction Reader’s Summit and I ended up being able to spend one on one time with Lynn Austin and we talked about everything from books to the process to her research. It was incredible; but it does mean I have to come up with another author. Right now, because she is very much a part of a work in progress, I would say Charlotte Bronte. I am fascinated by her time in Brussels as a teacher and was there a few months ago researching her time there and because I have been so involved in that research wise, I would want the real story. What is one question you’ve been dying for someone to ask you—either about yourself or your books—but nobody has? Go ahead and ask yourself that question, and give us the answer. While I write (both series I have done so far) from a Christian Worldview, neither is blatantly Christian. Meaning: the gospel is sewn thematically. Indeed, the only mention of God in Van Buren and DeLuca (other than through the lens of The Hunchback of Notre Dame which I very much use to infuse a sense of morality) is from a Jewish character. Christ is not mentioned overtly at all. But that doesn’t mean He is not there. This is the first conversation I have had with both of my publishers now. We all approach God in different ways at church: by denomination, by how we engage with others and how loud or quiet we are in the pew. There are multiple ways to approach the Throne and I believe that to be the same for fiction. No two ministries look the same. I pursue Christianity through character’s interactions and symbols. There are many times throughout Flamingo, for example, where Hamish DeLuca is the catalyst for acts of Grace: specifically in relation to his cousin Luca Valari. His loyalty to Luca without expecting anything in return, is my way of exercising the theme of Grace in the book. To add, Notre Dame from the Hugo book and the Old North Church are both symbols of an omniscient God. When Hamish is at the top of the Old North, he can look down and see humanity in a different way. I love using symbols like that to deftly drive a point home. That being said, I know several readers of Christian Fiction who are upset or confused when they don’t perceive a blatant Gospel message in books published by Christian fiction publishers. I would hope that they recognize that sometimes in the pursuit of accessibility and to reach the widest readership, it is intentional to tell a story that infuses gospel truths in a different way. The right book will find the right reader at the right time. That is what God does! And it is miraculous! In this vein, I hope you will pray that this book will find the reader who needs to see the power of Grace in a complicated relationship. I hope you will pray that this book will find the person who struggles with mental illness and finds through its pages a safe space where they are not alone. You got it, Rachel! Thanks again for being with us! Rachel McMillan is a history enthusiast, lifelong bibliophile, and author of the Herringford and Watts series. When not reading (or writing), Rachel can be found at the theater, traveling near and far, and watching far too many British miniseries. Rachel lives in Toronto where she works in educational publishing and is always planning her next trip to Boston. She'd love to connect with you on Facebook, Twitter, and Instagram. 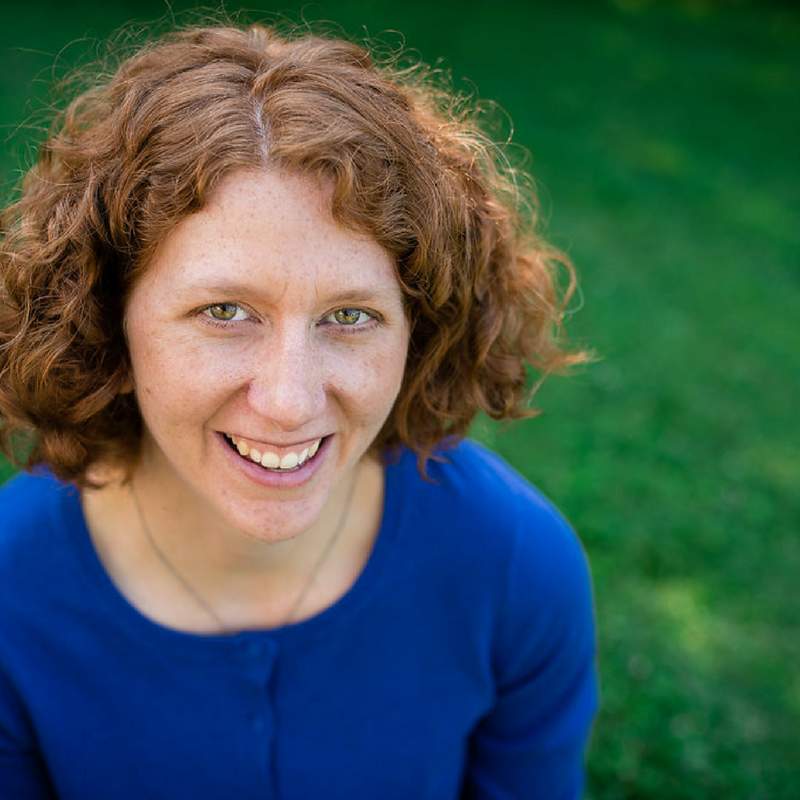 Today's blog guest is my sweet friend Rachel Schmoyer, who has a heart for helping women read and understand the "hard parts" of Scripture. I love this idea, because there's for every comforting, easy-to-understand, Instagrammable Bible verse, there are at least three that aren't quite so pretty or easy...but those are God's words, too, and we need to give them as much respect and attention as we do the easy parts. That's why I'm so grateful for Rachel and her ministry! Welcome to the blog, Rachel! What inspired your passion for helping Christ followers read and understand the hard parts of Scripture? A couple of years ago, I studied Revelation with my Bible Study Fellowship group. Heading into the study I was excited to dive into the hard parts about the end times and dissect the timeline, but that’s not what we ended up doing. We found simple truths for today in the complex book of Revelation. I was amazed at the heartfelt applications we found in a Bible book that we often avoid because it sounds scary or confusing. This study launched me to find simple truths in other complex passages. Hence, Read the Hard Parts was born! What is the hardest "hard part" you’ve ever studied, and how did your faith grow as a result? I think the hardest hard part is always the one I am studying at the moment! I just finished reading Leviticus and I jotted down a list of hard parts while reading. There is the story of a man who blasphemes and he must be stoned to death. That’s tough. What about forgiveness? Soon I will go back and really study this passage and what we can learn from it for today. One hard part I studied that helped my faith grow was the book of Malachi. Twice in the book of Malachi God says He hates something. I normally think of God as love, so that rubbed me the wrong way. When I dug into the passages, I saw a God who lovingly rescues His people and a God who desires us to love each other. I wrote about the hard parts of Malachi here. What is the best book you’ve read recently and why? I recently finished listening to The Great Gatsby by F. Scott Fitzgerald for the second time. I’m not sure why the book captivates me so. I do like how he can paint the picture of a scene in a few words. I’m intrigued by the mystery of figuring out whether Gatsby is a good guy or a bad guy and I’m still not sure if I have an answer there. I’m going to hit some used book stories during my summer vacation and I hope to find a vintage copy of the book so that I read it next year. Then I can go through it slowly to figure out why I am drawn to this book. Most days I check in on Twitter’s #5amwritersclub. I get in some words before the rest of the household wakes up which gives me a jump start to my writing day. I am very blessed to have a husband who supports my writing so during the school year when my four kids are in school I have the whole day to work on my writing. The summer is where I find the most obstacles to my writing between the kids being home and there being no true “normal” summer day. Every day is so different I have to reinvent the wheel each day to find time to write. Yesterday was my husband’s day off and he let me sneak off to the public library for two hours so I could write. It was glorious. I always have a variety of writing going on. In addition to blogging at Read the Hard Parts, I’ve been busy sending out book proposals and queries to literary agents. My goal is to publish devotional books for women on the hard parts of Scripture. I write a monthly Family Life column for Pandora’s Box Gazette, an online magazine. I am also do copywriting for business clients, and wrote about that for Almost An Author. I am also a copywriter so I write for business clients. I also write about copywriting for Almost an Author. When I am not writing I do a lot of family stuff: dishes, laundry, cooking, playing games with the kids, answering questions like, “Mom, can I play with candles and fire?” (Editor's Note: You are not alone in this). I also read a lot. I always have several Bible or spiritual life books going which I keep sprinkled throughout the house so one is always nearby. I read a lot of history and biography, too. For the past several years I have been reading through biographies of the First Ladies of the United States in chronological order. I am in the middle of Lou Hoover right now so I am in the Great Depression. It’s interesting to reread about each major time period since the lives of the First Ladies overlap one another. I read about the Civil War 17 times since it is prominent in the lives of the First Ladies from all the way from Julia Tyler to Edith Roosevelt. The biographies give me a multitude of perspectives on our nation’s history. Well, as long as we are having tea, it may as well be a party! I would invite Carl Anthony, who is a First Ladies biographer and historian. I would also invite Elisabeth Elliot, who was a missionary, linguist, writer, and speaker who often spoke about women and their God-given roles. And I would invite Jane Austen. We would have a lively discussion about how women influence society and what makes one woman stand out more than another in both God’s eyes and in society’s eyes as a force for good. Thank you for praying! That is so kind of you. Please pray that I would be patient and focus on one step at a time in my writing life. I am so eager to write and publish a book, but I need to trust that God will bring a literary agent at the right time. Rachel Schmoyer is a pastor’s wife and mom of four from the Lehigh Valley of Pennsylvania. She is a writer at Read the Hard Parts.Her goal is to encourage and equip Christians to find simple truths in the complex parts of Scripture. You can connect with Rachel on Facebook, Instagram, and Twitter. You can also subscribe to her weekly newsletter with Bible reading tips and insights about the hard parts of Scripture. The Unconventional Governess is available at Harlequin and Amazon. Welcome, Jessica! We're so glad you could stop by! Henrietta Gordon is one of the most fascinating, spunky, and just plain awesome heroines I’ve ever encountered. What was your inspiration for her? I don't know that I had an inspiration...she just kind of showed up in my head one day, already formed and demanding a story. Was there a character in The Unconventional Governess that presented more of a challenge? Dominic was challenging. I had to discover who he was, what he wanted. He was very laissez-faire about his life, and that made him a challenge because every hero needs a goal. And he had none at first. How did God change you during the writing of The Unconventional Governess? What spiritual lessons do you hope your readers take away from the book? I feel like I'm always trying to let God change me, and in every book, I feel like I "see" a new facet of life, like I learn something new. I think that God was trying to teach me to be brave. Not just in the way Henrietta is with her pursuit of an unconventional life, but in the way she feared being vulnerable, risking her heart. It takes bravery to do that, and both Henrietta and I struggle with it. I'd like readers to understand that it's okay to be different than what society might say is correct. It's important to hear God, to follow the dreams He's given you, even if there's a cost involved. What does your writing routine look like? What obstacles do you face in finding time to write? Writing routine? Ha! I used to have one. I don't anymore. My obstacles include an obsession with sweeping, trying to cook for eight children (and let's just say my cooking leaves a lot to be desired), and a body that won't keep up with my dreams. All that to say...there are many stories in my head, and obstacles won't stop me for long. Oooh, well, I think Ted Dekker is extremely interesting. I'd love to have lunch with him and talk about good and evil, dark and light, and the amazing love of Jesus. Thanks so much for being with us today, Jessica! Last question: how can we pray for you? I am always in need of wisdom. Thank you! Jessica Nelson began writing her first historical romance after quitting her day job to stay home with her children. Many years and manuscripts later, Love On The Range was bought and released by Love Inspired Historical in 2012. Her most recent release is The Matchmaker's Match, a Romantic Times nominated Top Pick for 2015. Jessica writes historical and contemporary inspirational romances. She is a member of Romance Writers of America and American Christian Fiction Writers. 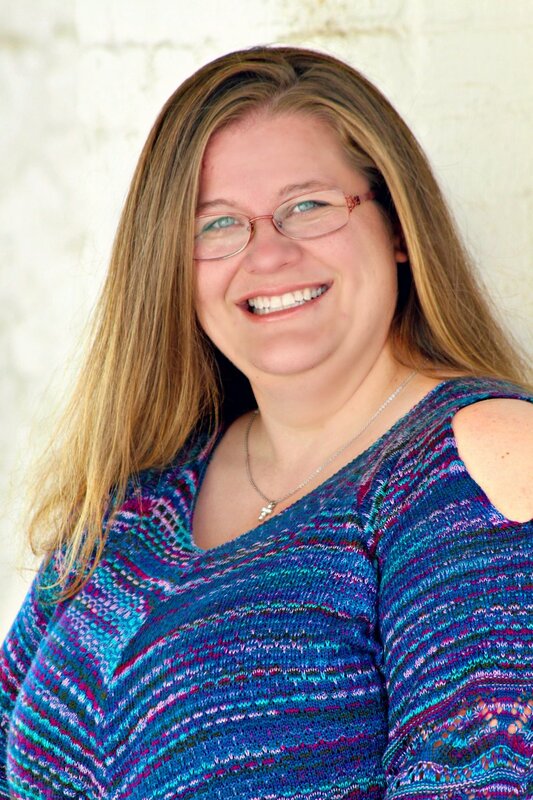 Her work has finaled in several RWA contests, as well as double-finaling in the esteemed American Christian Fiction Writer’s Genesis contest. Jessica believes the greatest, most intense romance comes from a God who woos people to himself with passionate tenderness. When she is not chasing her three beautiful, wild little boys around the living room, she can be found staring into space as she plots her next story. Or she might be daydreaming about a raspberry mocha from Starbucks. Or thinking about what kind of chocolate she should have for dinner that night. She has been blessed with an amazing life and hopes to continue publishing for years to come.